Put it in the Books! S1 E26 - Let's Sign Someone! • Brodie VAN WAGGING it . Innovation or Decimation? • 3 headed serpent for GM position and Ruben Amarro as special assistant . Lots of experience - smart play on Wagging it or just headed for discourse? • Money seems to be no issue - Metschado ? Harper ? Grandal? Kimbrel ? • Quick changes by Wagging it - Shows a strong hand or just for show ? • WHATS THE PLAN VAN WAGGING ... See More IT? • Coaching changes to address our weak areas? How should Mickey take this? • The Tebow saga continues. • Will Mets go after the huge contract/huge impact player? • Who should we sign to play first base this week? • #flyingrick – called it! 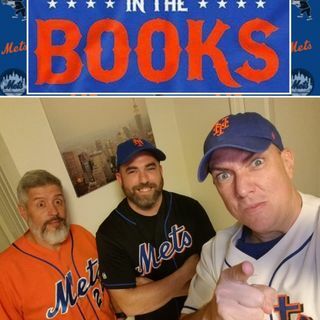 • What the Mets will look like in 2019 – A trip inside Keith’s dreams. • Free Agents and Trades Mets should target - A Put it in the Books take.